Welcome to Barefoot on the Wind week on TeenBookHoots! Zoë Marriott's new novel is released on the 1st of September, and is a retelling of Beauty and the Beast- set in Japan. The synopsis is down below, along with a long to purchase the book. There is a monster in the forest... Everyone in Hana's remote village on the mountain knows that straying too far into the woods is a death sentence. When Hana's father goes missing, she is the only one who dares try to save him. Taking up her hunting gear, she goes in search of the beast, determined to kill it - or be killed herself. 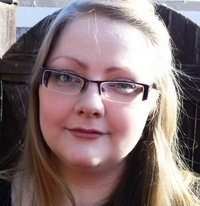 The first post of this week is a Q&A with Zoe Marriott- where she talks about her inspiration for the novel, why she likes writing fantasy YA, and how to get out of a writing slump. 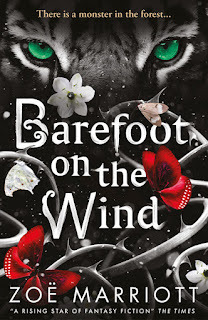 Check back on Wednesday for my review of Barefoot on the Wind! Q. What was your inspiration for writing Barefoot on the Wind? A. Beauty and the Beast has always been a favourite of mine - I read Robin McKinley's seminal Beauty at around age eleven, which was same year that I first saw Disney's version of the story, and it made a massive impression. In fact, it's probably the reason I started my career as a YA writer with a retelling (The Swan Kingdom). But I never felt equal to the challenge of writing my own re-telling of Beauty and the Beast. I never even felt the urge, despite loving the story so much; it seemed as if the tale had been told definitively and there was nothing else to explore. And I kept on feeling that way for many years, until one day I pulled out my favourite comfort read, Beauty, and suddenly it struck me that the Beast, my favourite fictional hero for many a year... doesn't really act like much of a hero at several points in the story? I mean, look at it this way. Beauty and the Beast is supposed to be about true love being based on inner beauty, right? It's about learning to look beyond people's exteriors and learn who they are inside before you judge them. And that's a wonderful message! But. BUT. In the traditional story, it's actually the heroine Beauty – not the Beast – who is asked to learn this lesson, to love a Beast, despite having done absolutely nothing wrong. That seems a bit unfair, doesn't it? Meanwhile, the Beast - who is the one who is supposed to be learning not to be so cruel and shallow - takes her from her family, locks her up, and forces her to stay with him, with only a single week's reprieve, until she finally breaks down and agrees to marry him. He never has to learn to see through Beauty's outer appearance and love the girl inside, not just because she is (of course) already physically lovely, but because he literally doesn't care who she is inside. He just wants someone to agree marry him and break the curse! I thought it was rather weird that all these years we've been told the story is about love and inner beauty conquering all, when really, if you get right down to it, it's about using coercion to get your own way. And that stuck with me. Although Beauty is still my favourite comfort read because Robin McKinley's writing is so amazing that she makes you forgive the Beast anyway. Then, one day, I was in the shower and I was thinking about the setting from my last fairytale retelling - Shadows on the Moon - which is a kind of fantasy Feudal Japan, with elements of other Asian cultures. I was remembering this bit I wrote about Mount Moonview, which is this great, forested mountain that we see from afar, but never visit in that book. And out of nowhere, this grim, tired, determined voice spoke up suddenly in the back of my head: 'There is a monster in the forest'. I nearly fell on my head and killed myself, I jumped out out the water so fast. I had to wait almost four years to actually get to write it though! Q. Are there more fairy tales you would like to retell? Loads! I am such a fairytale, folklore and mythology geek, it's embarrassing. Right now I'm actually working on a retelling of the ballad of Mulan, set in a fairytale version of China. Whenever I watched the Disney film (which was many, many times as a youngster!) and later, when I began to read up on various iterations of Mulan's story through China's history, I was incredibly struck by the feeling that we were all missing something obvious, that Mulan seems to be genderfluid, shifting naturally between female and male aspects. I wanted to write a version of the story which expressed that, explicitly. But I initially felt a bit hesitant about it, because it would be something really new for me, so I basically asked people's opinions on Tumblr and Twitter, and was nearly drowned by responses from young trans people telling me they'd always felt that about Mulan and really enthusiastically embracing the idea and offering their support. Luckily I was able to get a grant from Arts Council England to help me buy the time to write the book. I'm really hoping that either my existing publisher or another will want to give the story a home when it's finished. I also have an idea for a retelling of the Little Mermaid that I'm very excited about (which already has its own board on Pinterest, here). I've always wanted to re-imagine the story of Medusa but I haven't quite figured out how it would work yet. And when I heard Aurora's 'Winter Bird' for the first time, I was struck by the idea that it was about Snow White and it made my imagination tingle. After that, who knows? Q. 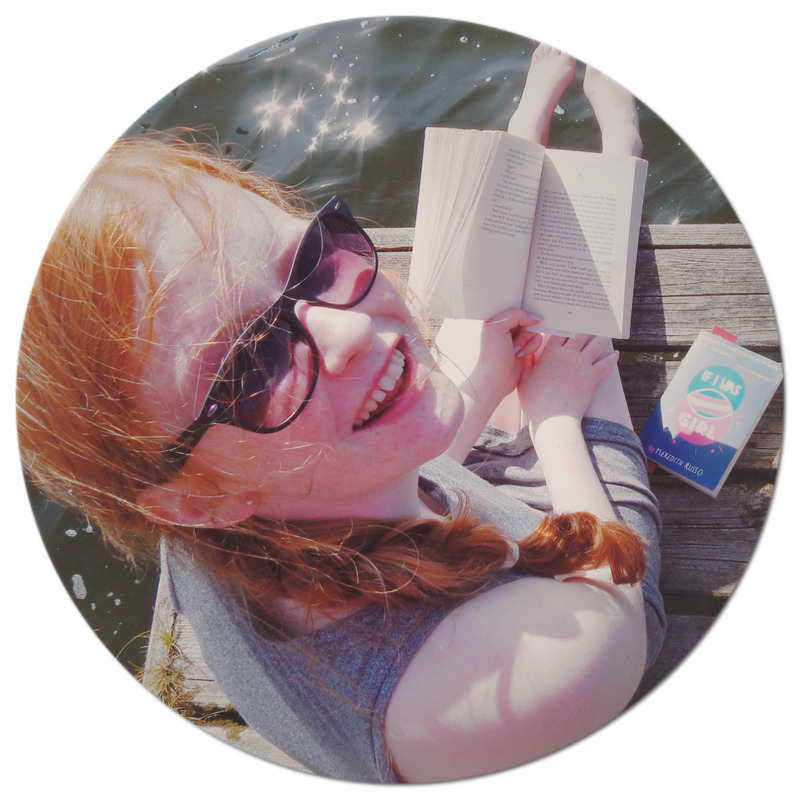 Why do you like to write fantasy YA? A. I like to write fantasy because it gives me a chance to write about all the stuff that *all* art is really about, like love and death and war and redemption and grief and growth and pain and joy... but I get to do it sort of sneakily, in a non-obvious way, while also writing about super cool stuff like dragons and magic. Win-win! And I like to write for YA because you don't have to be cynical or distant or ironic about anything. You can just write the most beautiful or tragic or funny thing you're capable of, and YA readers will embrace that and let themselves feel it with you. People often act like a first love or a first heartbreak or a first massive realisation about who you are or how the world is, is trivial because 'oh, we've all been through that' and it drives me up the wall. The first time you feel these things is JUST AS IMPORANT as the tenth time when you're thirty. In fact, it's MORE important because these experiences will shape who you are for the rest of your life, shape the way you experience everything else forever. Stop hating on your teenage self, or on teenagers in general, grown-up people, and admit you're just jealous and wish you were still sixteen. Q. What do you do to get out of a writing slump? A. There's no one foolproof way, sadly - if there was, I would market it and become a millionaire as writers everywhere swamped me! I think the way to kickstart yourself generally lies with the reason you're stuck in the first place, but it's not usually as simple as 'I feel worried something in my story doesn't gel, so I'll do loads of research' because doing too much research can then make you feel as if your imagination is choking under the weight of all the facts. Writer's brains are tricksy and if your subconscious is not on board you won't win that fight. So you have to be equally tricksy, sometimes. This is why strategies that people tend to scoff over as silly can be really effective. For instance, if you type directly onto a computer, switch to pen and paper. If you're normally writing longhand, try typing. It makes your subconscious think you're not *really* writing, so it leaves you alone. Or you can tell yourself 'I'm not actually writing this crucial scene, here, nope. I am rehearsing. This is my rubbish practise for that scene. It doesn't matter at all'. I've been known to write a whole chapter in bullet points just to fool my brain that I was only making *notes*, so there was nothing to freeze up about. Or writing somewhere new - taking yourself out to a coffee shop, or writing on the train, or at a friend's kitchen table, can help. And sometimes that doesn't work because the problem is deeper, and your subconscious hasn't quite worked it out yet. So you have no choice but to leave the book alone for a week, or a month, and in the meantime just stuff your brain with as many other books, and films, and walks in the woods/by the sea/in the park, and music, as you can in the hope that something will trigger a brainwave and you'll feel inspired again. The main thing to bear in mind is that you *will* feel inspired again. You really will. It always feels like you've gone completely dry and will be stuck forever and ever... and so when it's happened to you for the third or tenth time, there's a kind of comfort to it. It's happened before. It'll happen again. I'll get through it, and eventually I'll write again. That helps. Q. Describe your writing career with three words? Q. Would you rather never be able to speak again or always have to say everything that is on your mind? A. Never be able to speak again, 100%! As long as I could write, anyway. If I couldn't write to express myself I guess I'd have to take option two, but find a cave to live in where I'd never have to meet another living soul (except my cats and dog) and just dictate my books and then edit them a LOT. Q. What advice would you give for aspiring writers? A. Try to take as much joy in the actual process of writing as possible. It's very easy to get caught up in a lot of external stuff - will I finish this, will I get an agent, will my agent like this, will it sell to a publisher, what will the editor want me to do, will the book get into stores, what will readers and bloggers and reviewers think - none of which you actually have any control over. And it can just rob you of the one thing that you can control, which is writing things you deeply believe in and love and WANT to write. No one can take that from you unless you let them. So it's good to care about getting published, and about being professional and all that. Do your research, do the best job you can, try to write things that will make the world a better place. But at the end of it, you need to know that even if this book doesn't get an agent, or a publisher, or it gets bad reviews and doesn't sell, that you still loved putting the words down. That you pushed yourself and learned from it and grew as a craftsperson and an artist. Then it will have been worth it, no matter what.